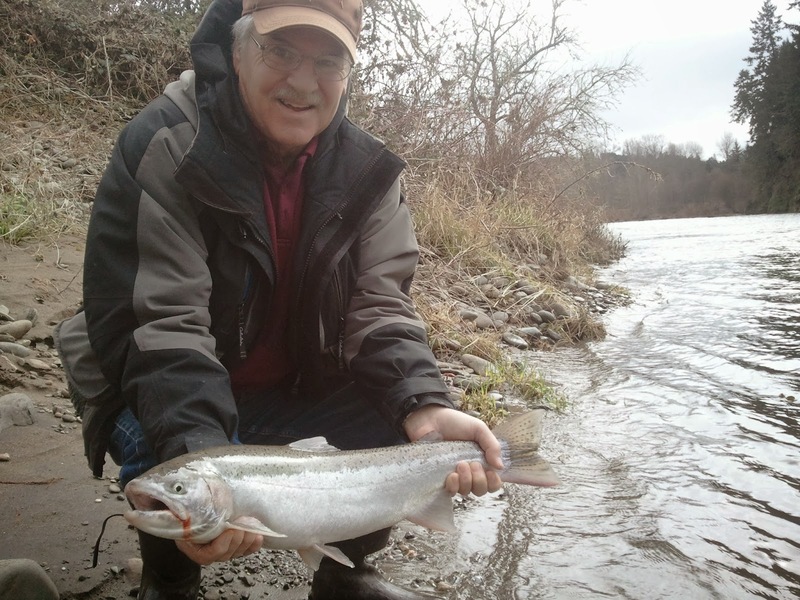 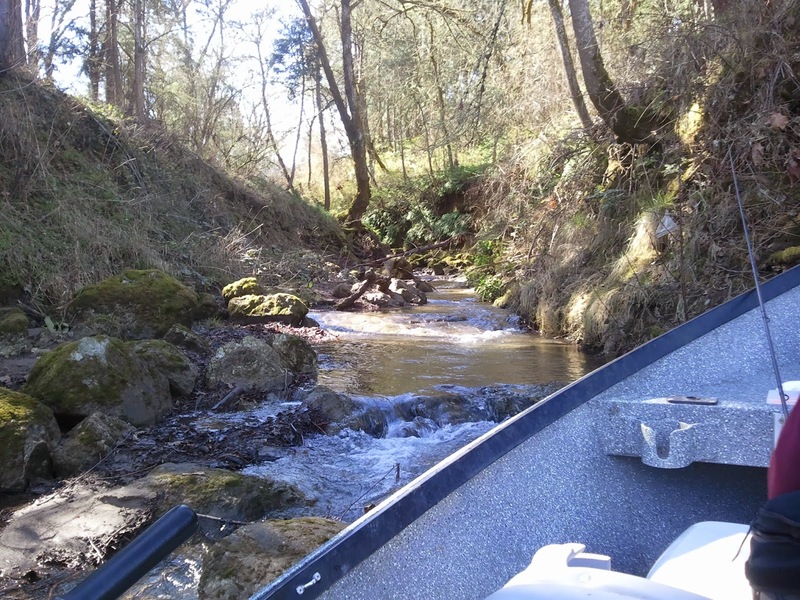 Fishing the Umpqua River continues to produce beautiful winter steelhead. 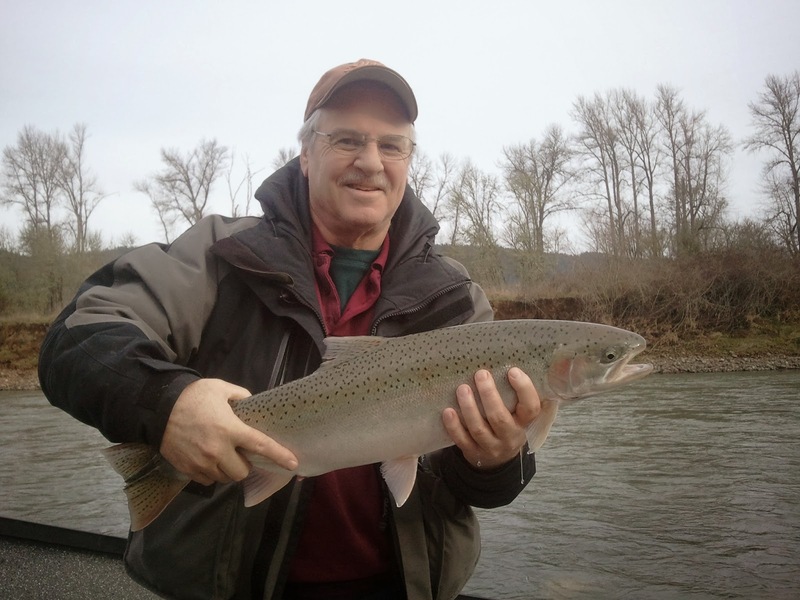 I've been mostly side drifting eggs; however pulling plugs has also produced fish for me in the past few days. 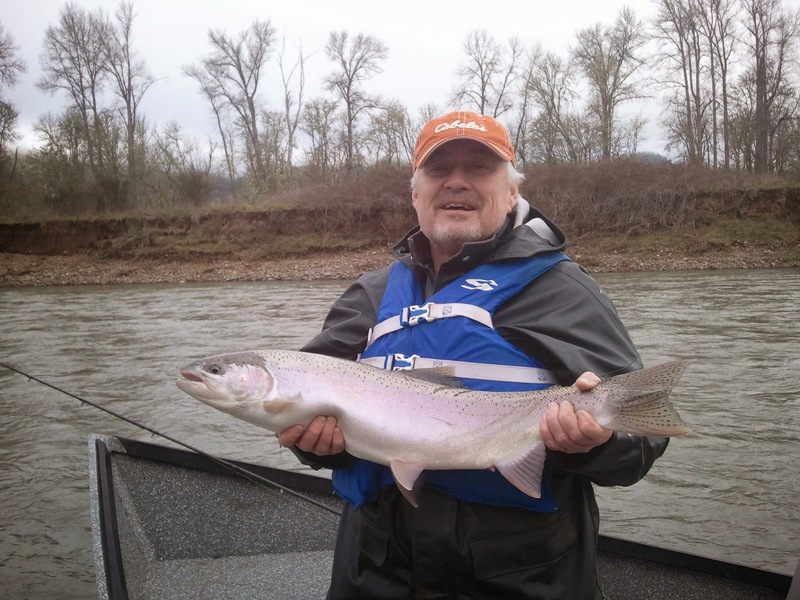 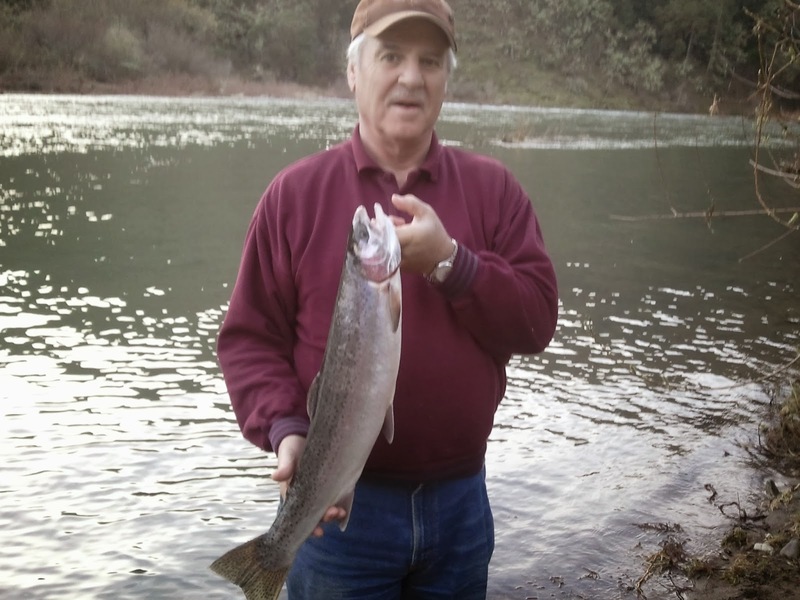 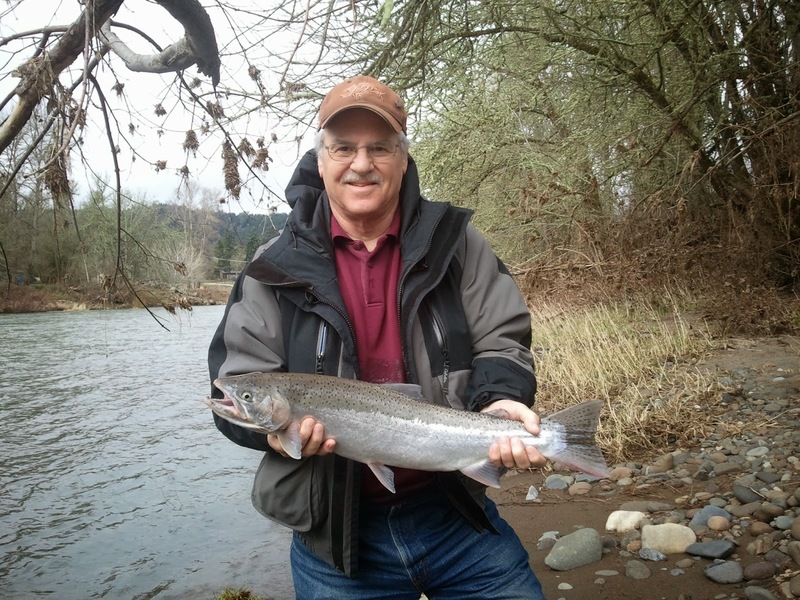 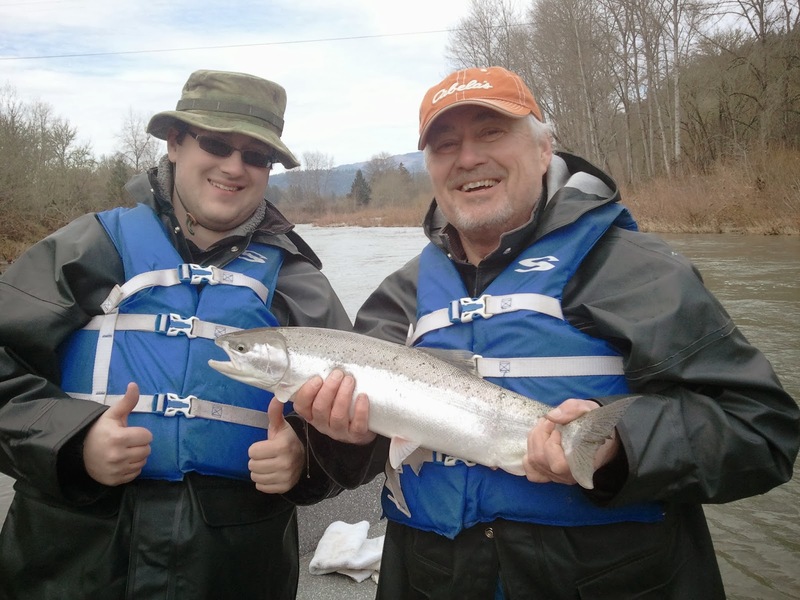 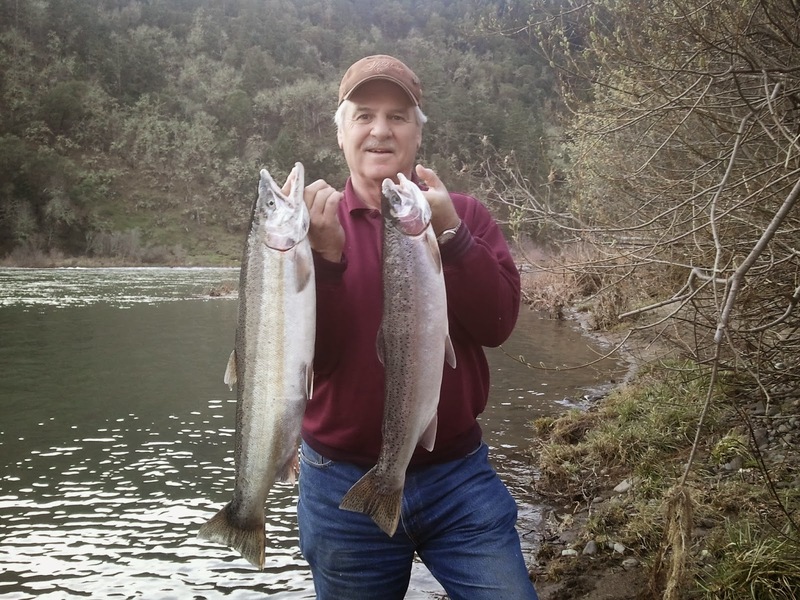 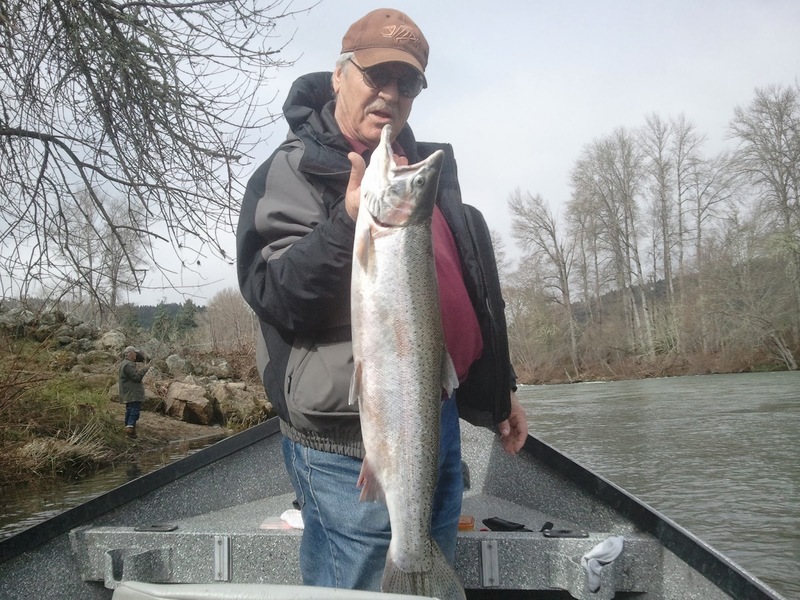 Check out Marty's big plug fed steelhead he got on his first trip to the Umpqua River. 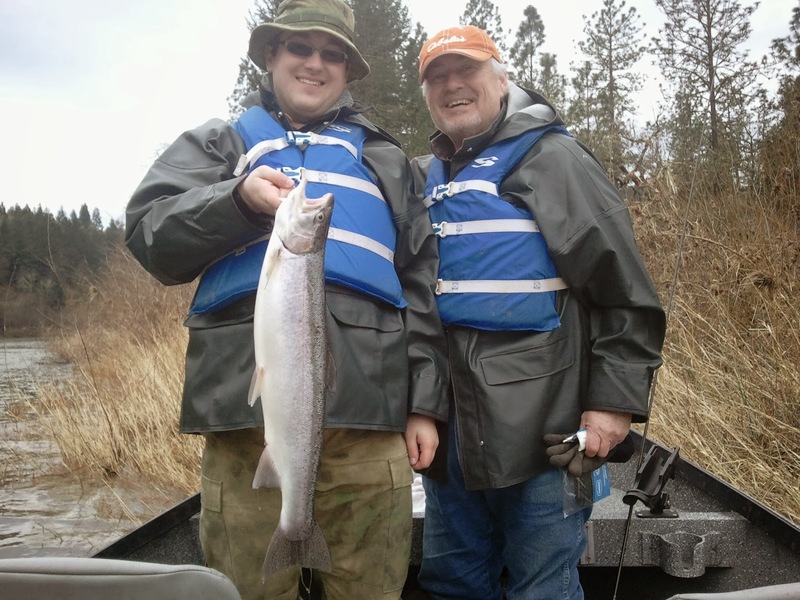 His luck didn't stop after that fish though, he caught quite a few more during his two days with Phil Tripp's Guide Service.